As worship leaders, we have all encountered those people who want to be on the worship team but don’t have what it takes to fulfill the commitment. They may not realize that you have to practice every week, or they may not even be able to sing. The challenge is how to handle this situation in a professional, yet compassionate manner, and I have a few keys that will help you with this endeavor. It may seem impossible at times, with such a small group of people to pull from, but a small church still has the potential to offer excellent sound quality in their worship services. I am not just talking about what type of equipment you have, because an excellent sound starts with the people on stage. I was brand new at leading worship full-time when I had a guy, who had not been coming to the church for very long, approach me about playing guitar with the worship team. At the time, it seemed like such a god-send because I was in desperate need of an electric guitarist, so I enthusiastically brought him onto the team! As you can guess where this story is going, it ended up that the skills were not quite there. His heart was pure, and he was a really nice guy, but the whole band struggled with this one member that was out-of-sync. Then I was stuck trying to resolve the situation without hurting his feelings. Yuck – I am sure you have found yourself there as well. I let many years go by before I finally developed a process for introducing new members to the worship team. Without a refined process, you are in for a bumpy ride! I will now outline the process I use, and you will also be able to download the application I use. Feel free to use whatever will fit your needs, but don’t be afraid to add your own touch. It may seem silly, especially in a small church, but an application is the first step in weeding out those who are just looking for a ‘platform’. An application should be used to answer two main questions: ‘can they accept the commitment’ and ‘do they have a heart for worship’. Now that you have evaluated their heart and commitment level, its time to see if the skill is there. I am very strict with audition times, because it is a chance for them to prove their commitment. If they are unable to make the audition date, or if they miss their time, they will not get another chance until the next audition is scheduled (which could be up to a year later). Be honest with your audition evaluations, and bring people in to grade the audition that are able to recognize musical skills. Believe it or not, some people are able to get past the application and audition process until you find out that they don’t have what it takes. You may discover a commitment problem, or it may even be a moral problem. Nevertheless, an understood probational period makes it easier to let these people go, if necessary. Following are some of my guidelines for the probational period. Tardiness and absence are not permitted for scheduled rehearsals or services. You must show up to rehearsals prepared. Rehearsal is not a time to learn your part, but put all the parts together. You must maintain an attitude that is easy to work with. You must be able to take constructive criticism and make necessary changes. You must be able to adjust your musical preferences in a way that works with the rest of the team and the overall ‘sound’ we are working towards. Am I strict? Yep. I care way to much about my team to bring on someone who is not willing to make the commitment or does not have the skills needed to succeed. Great topic/ post and very relevant especially in small towns were talent is limited sometimes and it’s to bite at the first potential prospect. I would also add doing video auditions and have them emailed them to you. Cameron, I would be interested in looking at the commitment statement you have developed for your worship team. Thank you so much for sharing! I have literally been wondering what I should do! 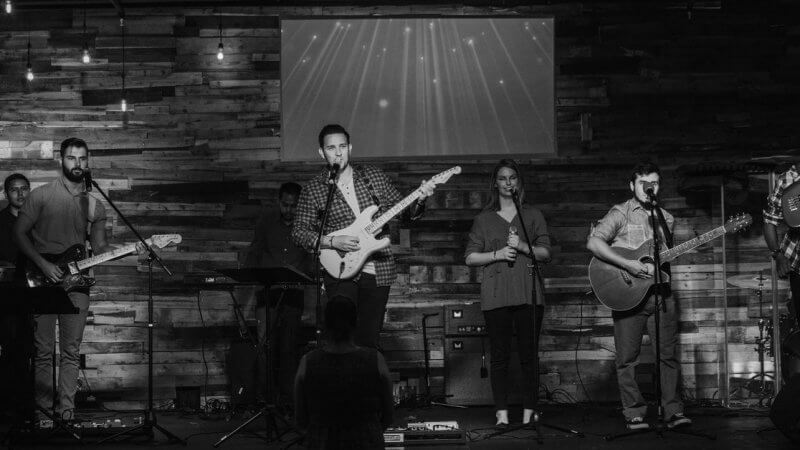 I am the worship pastor at my church here in Las Vegas and even though we are a small congregation we have many people that want to be on the worship team. It was very easy for people in the past to join but since I have taken over I have been encouraging community and using those that have a heart of worship. Again, thank you for sharing your wisdom! Have a blessed day! How do the auditions go about? Do you schedule them once a year? Also, do you assign them songs? Thanks for the comment, Moises. I schedule auditions on an as-needed basis. I assign a song and send them the materials about 2 weeks before their scheduled audition. Then, they come in during our weekly rehearsal to play/sing the song with the full band. I call or email them the next day to let them know the next step. If they are unable to sing/play at a decent skill level, I simply encourage them that serving somewhere else in the church would be a better fit. This is never a comfortable conversation, but it is important to protect the worship team from people who don’t need to be there. Great Points all around. My current team, everyone is volunteer and as such I’m at a point that we move practice to different days in order to accommodate working schedules. For instance, my drummer had his work scheduled changed that he has to work all day Saturday. We moved to Thursday night practice. I find that if they know I’m flexible, they will do what it takes to be faithful. I’ve found that Worship is continuing to grow Stronger! Thanks for the comment, Joseph. And your point is very true – flexibility shows your team that you truly do care about them. When you have a person who doesn’t play or sing at a decent skill level, do you offer constructive criticism to help them grow in that area before you encourage them to find another area to serve in? I do try to help them grow in their skill before encouraging them to find another area to serve. This happens during the 90-day probational period. Of course, if they put in the work and their skill is improving, I will extend the probational period to allow them more time to grow. I have found that it is quite obvious when you should help them grow or help them go. You’ll know which is the best option. This article was such a breath of fresh air. I have hit upon two situations within the worship ministry at my church with a few aspiring worship team players saying ‘im being two strict’ or ‘i take the fun out of it’. My auditions for my instrumentalists are fairly straight-forward, simple: I require them to be able to play to a click track. This caused some hurt feelings when a friend of mine didn’t make the team. I also had to ask a percussionist to consider stepping down b/c he was having difficulty with faster tempo songs. I guess my point is this, Up to this point, I’ve only required a ‘simple audition’, and my thought was that people perceived me as being overboard. I feel much better knowing that there are worship leaders who have a standard that they stick by and build from. This encourages me to continue forward, challenging and inspiring potential team members toward excellence. Thanks for the wonderful article. I’m going to prayerfully consider adding steps 1 and 3 to my current team requirements!! It is definitely easy to go from one extreme to the other. Once I realized that perfection was not an achievable goal, I also dumbed everything down and just kind of let things happen. Then, I balanced out and found that excellence is an achievable goal once I began to learn how it is different than perfection. The 90 day trial period seems so obvious now that I’ve read it, but what a great idea! I went to a “mega church” for some time and remember being so intimidated by their process but understood totally that it had to be that way with so many people wanting a spotlight. I loved what they had in place, application, evaluation (of talent and heart), and then if your talent wasn’t platform ready but your heart was they would connect you with instrument/vocal teachers to grow your gift and a worship small group. If your heart wasn’t ready but your talent was, they would hook you up with classes to grow your relationship with God. I had never seen a process that invested in people so much. It was inspiring and one of the reasons I really appreciate your investment in helping people. It’s a blessing! Thanks so much for what you do. Unless of course it’s on your heart to disciple people into there callings and giftings. If they are ready to be on your worship team and came from the outside that would most likely mean someone discipled and invested into them to get to that level in their gifting and anointing. Agreed, Steve. I have discipled many into their calling and gifting. Main difference here is that they are generally recruited because they would not dare ask to be on the worship team. This post is more to develop a process for those who are seeking to be on the worship team and enable you to filter out those who don’t really need to be there. Hi Kade your point if view is something that i agree with..im not a perfectionist by any means, but i do beleive that if we are gonna worship the Lord it has to be with excelence!!. I’m currenntly in process of puting together a second worship team and i was wondering if i could get a copy of that application you use. Enjoyed the post, Kade. So what happens when someone IS tardy/absent from a practice or performance? And how does that fit in to a member taking vacations, work, etc? if they miss or ar tardy a certain number of times do you take action then! Just curious! Thanks for the comment, Kent. Here is a post I wrote about the subject: Is Your Worship Team Afraid to Take Time Off? Hope that helps! I wish the worship leader lived by the same standards as he expects the volunteers to live by. Some leaders should just be members, they don’t have the heart,, or the worship thing worked out yet. I’m sick of this not being a ministry, where they are prayed up etc. this isn’t a gig, a set , entertainment. We are there to usher in the presence of the Lord. The leader we presently have is there for the performance, and a stepping stone for his next appointment. Any advice on this?? It really is a bummer when the worship leader does not have the right heart for the job. I believe the best thing to do is to pray that they have a revelation of what their job really means. Believe that God will change his heart or help him move on. Important thing to note here is that there is probably nothing you can say to him to change the situation. This is something that God needs to handle. What do you do in a small church setting where the people with the most musical talent and ability are very uncommitted and very unreliable? I love this. I am a worship leader at a small church and sometimes it seems ridiculous to say no to someone who wants to join, especially when I know they love to worship. I have found that there is a fine line between being exclusive and endangering the balance of the team within its smallness. My heart is never to exclude, but I do desire to maintain excellence and a good bond within the team. This can be so hard to do when I’ve let someone on who doesn’t have the ability or right attitude. Thank you for sharing your thoughts and all of the awesome comments! I totally feel encouraged and challenged! The previous worship leader basically brought in hired guns, really good musicians but zero spiritual walk and accountability. After the pastor pressured him to be more accountable the band got mad and quit along with worship leader. So that Sunday they had no band. I came in and built a band from ground up. Now after 4 or 5 years we have multiple musicians wanting to join the band. Which is great. One of my requirements is that the band members are part of the church. That way I know we have the same vision and promote unity. Occasionally I will have fill in musicians from other churches. I recently had a new visitor who’s an excellent musician question my requirement to be part of the church saying they needed to serve before figuring out if they need to join. I simply said no. No hired guns for me. Is the church membership the norm for all worship bands? I would think it is essential. Thanks for providing a Google doc that I could edit and make my own. I have been unhappy with the previous application that was used by the former worship director and have needed a jumping off point for a new application. I appreciate your willingness to share not just the document but also your process. It has been extremely helpful to me. So glad it was helpful. Thanks for taking the time to comment! Two part question: 1. What would you do if you hear chatter about people not wanting to join because the audition process scares them? 2. What if no one is expressing interest in joining the worship team, for whatever reason, even though there is a big need for musicians? Hey Pablo – If the audition process scares folks, it’s probably better for them not to be on the team anyways. When it comes to a lack of people interested, check out this post: https://collaborateworship.com/new-musicians/ Hope that helps!